Germany has not been identified with a large, influential independent oil and gas company. The proposed merge of LetterOne and BASF attempts to change that premise. The two companies have signed a Business Combination Agreement to merge their oil and gas businesses and create Wintershall DEA. Closing of the transaction is subject to customary regulatory approvals. “Wintershall DEA will be the largest independent European exploration and production company”, says a statement by the would -be new company, “with activity in twelve countries across Europe, Latin America, North Africa and the Middle East. The combined business would have had pro-forma production of approximately 575,000 barrels of oil equivalent per day in 2017, almost 70% of which comes from natural gas. Production is expected to rise to between 750,000 and 800,000 barrels of oil equivalent per day in the early 2020s as the company executes its business plan”. DEA Deutsche Erdoel AG is an international operator in the field of exploration and production of crude oil and natural gas based in Hamburg. It has shares in production facilities and concessions in, among others, Germany, Norway, Denmark, Egypt, Algeria and Mexico. Production of DEA averaged 125,000 barrels of oil equivalent (BOE) per day in 2017; as of year-end DEA had 1P reserves of 508 million BOE, and 2P reserves of 698 million BOE. Wintershall, headquartered in Kassel, Germany, focuses on exploration and production in oil and gas-rich regions in Europe, Russia, South America, North Africa, and the Middle East. Its production averaged 450,000 BOE per day in 2017; as of year-end Wintershall had 1P reserves of 1.67 billion BOE. In 2017, the combined business would have generated revenue of €4.7 billion and earnings before interest, taxes, depreciation and amortisation (EBITDA) of €2.8 billion. Based on the combined proven (1P) reserves of almost 2.2 billion barrels of oil equivalent at the end of 2017, the reserves to production ratio of the combined business would be approximately 10 years. The combined portfolio and scale of Wintershall DEA will provide significant potential for sustainable, long-term growth. LetterOne and BASF expect to be able to realise synergies equivalent to at least €200 million per annum. In the medium term, the shareholders intend to offer shares in the company to the public through an initial public offering. Wintershall DEA will be jointly headquartered in Hamburg and Kassel. LetterOne and BASF will now begin the process of seeking regulatory approvals, a process which could take approximately six months. Until closing, DEA and Wintershall will continue to operate as independent companies. BASF will initially hold 67% and LetterOne will hold 33% of Wintershall DEA. This does not take into account Wintershall’s gas transportation business. However, at closing of the transaction, Wintershall DEA will issue preference shares to BASF reflecting the value of Wintershall’s gas transportation business. Before IPO, but no later than 36 months after closing, these preference shares will be converted into additional ordinary shares in Wintershall DEA for BASF. Ghana Revenue Authority GRA claims that Oranto Petroleum, the Nigerian owned E&P company, “has been located in Angola and Mozambique”. This “revelation” is in response to a declaration that the company, in partnership with Stone Energy “has still not honoured an outstanding surface rental invoice of $67,438.36 since February 2013”, according to the 2017 report of Public Interest and Accountability Committee, PIAC, on the Management of the country’s Petroleum Revenue for the year. The PIAC then recommends that the GRA should “collaborate with the relevant authorities in these jurisdictions to retrieve the money”. The PIAC is the closest entity, in Ghana, to an Extractive Industry Transparency Initiative (EITI). It is a statutory body established under Section 51 of the Petroleum Revenue Management Act (PRMA), 2011 (Act 815) to ensure transparency in the generation and use of petroleum revenues. Its reports are published twice every year. The claim, by GRA, of Oranto’s alleged location and the recommendation, by PIAC regarding retrieving Oranto’s debt are quite telling, of institutions that are run with public funds. 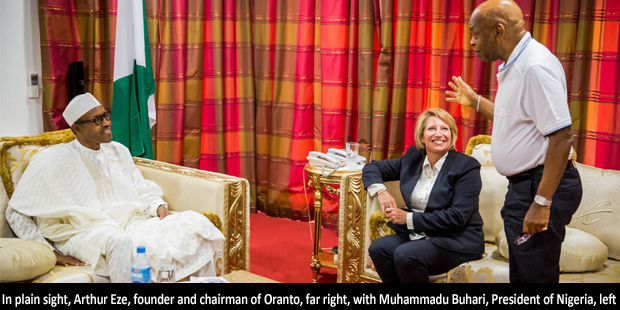 A click on the internet shows where Oranto’s operations are all over the continent, on its own website. Angola and Mozambique are nowhere on the site and Oranto is not hiding; it is in the news all the time; the latest (August 2018), being that it has won two blocks in Zambia. American explorer Kosmos Energy, has completed acquisition of its first set of hydrocarbon producing properties outside the African continent. Its acquisition of Deep Gulf Energy (DGE), a deepwater company operating in the Gulf of Mexico, adds, immediately to its portfolio, approximately 25,000 barrels of oil equivalent per day (BOEPD) production (~85% oil), “with an estimated reserves to production ratio of 8.8, growing 2018 pro forma production by 50% from approximately 45,000 to 70,000 BOEPD”, Kosmos says in a release. Kosmos, was until November 2017, only an oil producer in Ghana, though an aggressive explorer elsewhere. In that month, however, it acquired the entire interest of Hess Corporation in the Ceiba field and the Okoume complex, offshore Rio Muni, in Equatorial Guinea. That, still, was an acquisition in Africa. The takeover of Deep Gulf Energy is made in the context of Kosmos’ preference and deep understanding of hydrocarbon assets in the Atlantic margin, but this is an established producer outside of the African continent. Kosmos says that the acquisition adds estimated 2P reserves of approximately 80Million barrels of oil equivalent (MMBOE), increasing total 2P reserves by 40% from over 200 MMBOE to approximately 280 MMBOE. Kosmos acquired DGE for total consideration of $1.225Billion, comprised of $925Million in cash and $300Million in Kosmos common shares issued to First Reserve, management, and other DGE shareholders. Kosmos intends to fund the cash portion of the purchase price with borrowings under its existing credit facilities. In connection with the transaction, Kosmos has received $200Million of additional firm commitments to increase its reserves-based loan facility capacity. Officials in the Nigerian Ministry of Petroleum Resources are aware that the Anglo Dutch major Shell is inclined to divest from several of the 17 onshore acreages it asked the government to renew. But they have gone ahead to renew most of the licences anyway, because they think it is unlawful not to do so. The extant licences on the acreages were due to expire in 2019. “By the regulations we are working with, all these assets we have renewed deserve to be renewed”, Ministry sources categorically tell Africa Oil+Gas Report. “Shell can take us to court if we don’t renew”, say ranking government officials in the Ministry, who also argue that, with state sponsored bid rounds not having happened in the country in the last 11 years, the frequent Shell lease divestments since 2008 “have benefited Nigerian companies”, who have purchased the stakes belonging to Shell and other international companies in these assets. As it is, even during the process of renewal between late 2017 and mid-2018, Shell was actively negotiating on the side, with several parties, its divestment from three of the acreages in the renewal basket: Oil Mining Leases (OMLs) 11, 17 and 25. Shell was asked to pay $820Million for renewal of 14 of the 17 acreages it sought to renew, including OML 25, an acreage that Shell had put in a divestment round in 2014, but failed to sell because of a last minute NNPC invocation of its right of first refusal. Shell, NNPC and several parties have been involved in closing that transaction since that time. Regarding OML 11 and 17, Shell has, for a while, been negotiating with buyers and has put a $1.2Billion invoice on the table. It would seem that such asset should not have been renewed, since Shell had demonstrated that it was going to sell them. It would, ordinarily appear intriguing, that the state would renew the licence of an acreage to a company that had clearly shown it no longer wanted it. Why don’t you put it in a bid basket so that the state gets the benefit of the licencing?, we asked. But MoPR officials say that Shell has paid all it needed to pay on every asset in the 30 years since they were last renewed and had extensive work programme on each of the acreages, so it would have been illegal to say no to renewal. Out of the 17 onshore acreages Shell submitted for renewal in late 2017, only three were revoked, at the provisional conclusion of the process in February 2018, “for lack of enough work done over the last 10 years”. Shell requested for renewal of OMLs 11, 17, 20, 21, 22, 23, 25, 27, 28, 31, 32, 35, 36, 43, 45, and 46. It succeeded in getting everything renewed, but for four acreages. OMLs 31, 33 and 36 were denied approval, while the government decided to cut OML 11 into three because it was too large. But Shell has contested the decision on OML 11, arguing that “the proposal would unduly punish” the company, which had conducted operations in the asset “legally and in full compliance with the law”. The timing of the debate about President Muhammadu Buhari’s withholding of Assent to the Petroleum Industry Governance Bill suggests that Nigeria is hurtling dangerously close to not getting the Petroleum Reform legislation passed in the current dispensation. The debate, spurred by a Reuters’ report late last week, is largely about whether the long awaited passage of the industry’s reform laws is going to happen now or not. Whereas the letter of withholding of Assent was sent to the National Assembly as far back as July 29 2018; and whereas the letter may not contain arguments that are against the fundamental structure of the Bill, the fact is that, seven months to general elections, there is still work to be done on the first of four reform Bills, while the three others have not even been passed by the legislature. The PIGB was passed by both Senate and the House of Representatives as far back as March 2018. The remaining Bills include Petroleum Industry Administration Bill (PIAB), Petroleum Industry Fiscal Bill (PIFB) and the Petroleum Host Communities Bill (PHCB), which complement the Petroleum Industry Governance Bill (PIGB) to ensure holistic reform of the petroleum industry. The PIGB is an important, foundational legislation for the rest of the petroleum reform Bills, but passing it alone does not do the reforms. 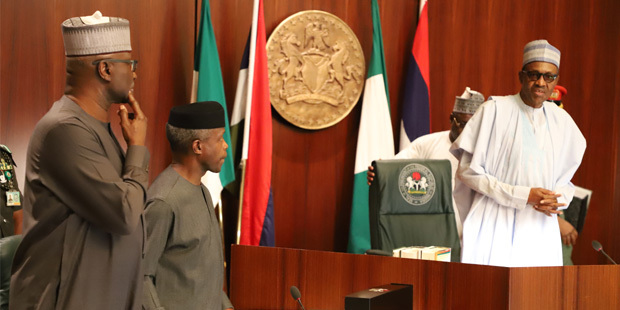 The pace of work on these reform Bills in the last three years of the Buhari led administration has encouraged many in and outside the Petroleum industry to feel optimistic that the reform legislation, first introduced in the National Assembly in 2008, will become acts of the National Assembly in this 10th year. But the pitched battles between the executive and the legislature in the last three months don’t encourage any consideration that the two could work amicably together to agree on pieces of legislation, no matter how significant it is for the health of the economy. There is an argument that the All Progressive Congress (APC) government will be keen to use the legislation as an election tool. True, it should be a plus for the APC if they are the first to pass this “certainty of investment” laws out of three governments (two of which were PDP –led) that have been saddled with delivering these very crucial pieces of legislation. But what if, as it often happens in Nigeria, a few people in power, who have the most influence to determine things, decide it is not in their personal interests to have these laws passed? What if that is what is happening, only that it is being couched in safe, non-threatening letter of withholding of Assent? 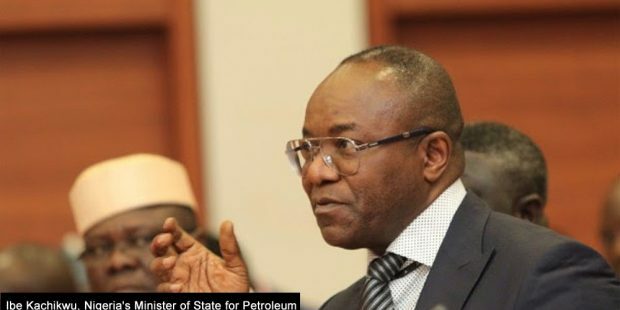 The recommendations to President Muhammadu Buhari to decline Assent to the Petroleum Industry Governance Bill did not come from the Ministry of Petroleum Resources. As of the morning of Sunday, 2, September 2018, three clear days since the Reuters story broke, Ministry officials themselves were still unaware of the full content of the letter addressed to the Senate and House of Representatives by Mr. President, in which he communicated decline of Assent to the Petroleum Industry Governance Bill, 2018. President Muhammadu Buhari is both Nigeria’s Ministry of Petroleum Resources and the nation’s Chief Executive. The Bill is sponsored by the National Assembly, but the executive’s engagement with the bicameral house of legislature has been through the Ministry of Petroleum Resources. What is clear is that the President himself either unilaterally took the decision, or was persuaded by the very close members of his circuit in the Villa, as the residence and office of the Nigerian President is called. 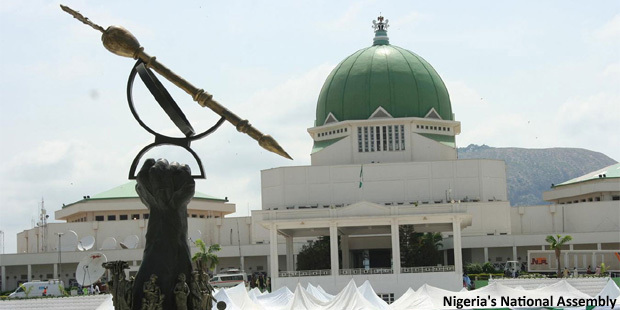 A cross section of industry stakeholders and observers are comforted by the fact that excerpts from the one month old letter of decline to Assent, published by Senator Ita Enang, Presidential liaison to the National Assembly, do not suggest any fundamental argument against the structure of the Bill itself. “The letter does not seem to say that the NNPC should not be unbundled, that the Minister’s powers should not be whittled down and that an independent regulatory commission should not be created”, enthuses a very impeccable source that has been close to the Bill for the past three years. “What the communication seems to be saying is that we should tweak the legislation here and there”. Senator Enang himself declares “None of the reasons for withholding Assent by Mr. President adduced by the media is true”, in clear reference to the Reuters’ report, which said that President Buhari withheld Assent because the Bill whittles down the Powers of the Minister. Royal Dutch Shell has joined other majors in the rush for hydrocarbon opportunities in the Northwest African segment of the Transform Margin. The company signed two Production Sharing Contracts with the government of Mauritania, the only country so far in that geologic province, where crude oil has been produced. The contracts are for the exploration and potential future production of hydrocarbons in the offshore blocks C-10 and C-19. The two tracts are located offshore, in water depths ranging from 20 to 2,000 metres. The total area of two blocks is approximately 23,675 square kilometres. The new block C-10 consists of three previous blocks – C-10, C-28 and C-29. BP, ExxonMobil TOTAL and ENI have taken positions in this part of the continent, mostly in Senegal and Mauritania. 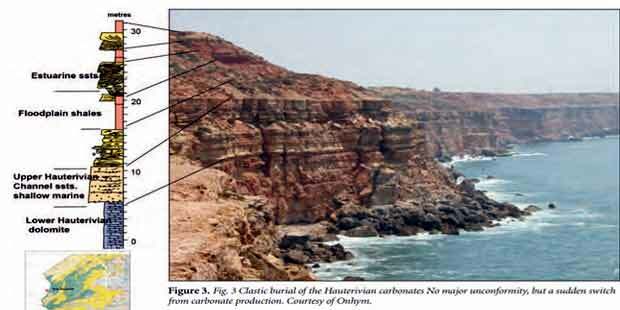 Chevron has interests in Morocco, which is in the northernmost flank of the margin. Crude oil was discovered in Mauritania’s Chinguetti field in 2001 and brought on stream by Woodside in 2006. The rapidly depleted output forced out the Australian independent from the asset, barely a year after first oil. But the point had been made; Mauritania was an oil producer,Senegal is the next country in the region to be an oil producer, that is if the development plan devised by Cairn Energy and Woodside comes to fruition, delivering 100,000BOPD, at peak from the SNE field, with 2023 as tentative date for first oil. There has, however been only gas discoveries in the province, since the SNE field was discovered in 2014. Shell, itself a net gas producer, will operate the exploration programme with a 90% interest. Société Mauritanienne des Hydrocarbures et de Patrimoine Minier, the national oil company of Mauritania, holds a 10%. Following the customary government approvals of the contracts, Shell will set up an office in Nouakchott and begin exploration activities, starting with reprocessing and analysis of existing seismic data and acquisition of new data. Shell and the government of Mauritania have agreed in a Memorandum of Understanding to jointly evaluate further offshore exploration opportunities, examine new ways of meeting the country’s domestic energy needs, and build capability in the energy sector. •The French oil major has been working since 2013 with Tullow Oil and KUFPEC to enter a new petroleum agreement for blocks B1 and B2. •The company formerly held an exploration agreement for Block B, which was split into three parts in 2012. 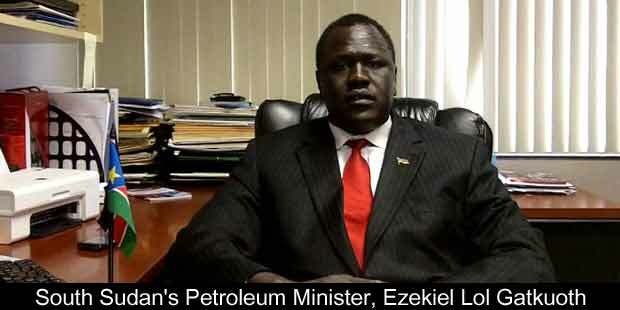 South Sudan’s Ministry of Petroleum announces that it has formally terminated negotiations with French international oil company TOTAL for exploration and production sharing agreements (EPSA) for oil licenses B1 and B2. 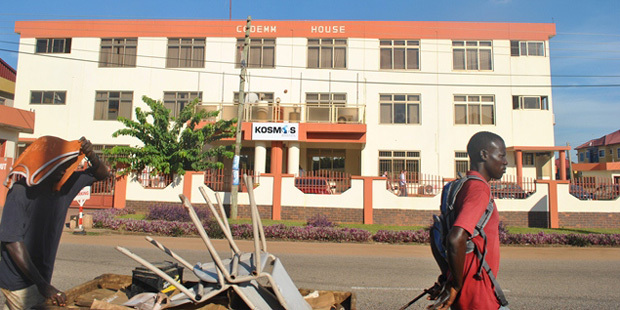 Prior to the country’s independence in 2011, TOTAL held a petroleum agreement for the 120,000-square kilometer Block B, but ceased activities in the area in 1985. In 2012 the government of South Sudan split the area into three licenses: B1, B2 and B3. Alongside Tullow Oil and the Kuwait Foreign Petroleum Exploration Company (KUFPEC), TOTAL has been negotiating with the Ministry of Petroleum for a new EPSA since February 2013. In 2017, the Ministry of Petroleum awarded the EPSA for Block B3 to Oranto Petroleum, as talks continued with TOTAL and partners on blocks B1 and B2. Under Section 100 of the Petroleum Act of 2012, the Ministry of Petroleum is permitted to enter new petroleum contracts, at its discretion, with contractors that had concluded an EPSA with Sudan before secession. However, after more than five years of difficult negotiations, the parties have now reached a complete impasse. The Ministry of Petroleum of South Sudan has stated its willingness to proceed with the signing of a draft EPSA, but “TOTAL has insisted on an extremely long exploration period and on economic terms that are not viable for the government”, the Ministry says in a release. The Minister of Petroleum will speak at the Africa Oil & Power conference in Cape Town on September 5-7 and anticipates strong interest from international companies in the licenses. Following this event, the minister invites potential investors to attend the South Sudan Oil & Power 2018 conference in Juba on November 21-22, to learn about the Ministry of Petroleum’s development plans for its exploration and production acreage. Ghana has mapped out nine (9) oil blocks in its offshore western Basin, of which six (6) will be allocated in the next 12-18 months. The country will, for the first time, allocate blocks through open public competitive tender. That historic licencing sale will involve only three blocks. The government wants to allocate another two blocks through direct negotiations and reserve one (1) for the state hydrocarbon company Ghana National Petroleum Corporation (GNPC), to explore in partnership with its chosen strategic partner with the view to developing its technical capacity and becoming an Operator. 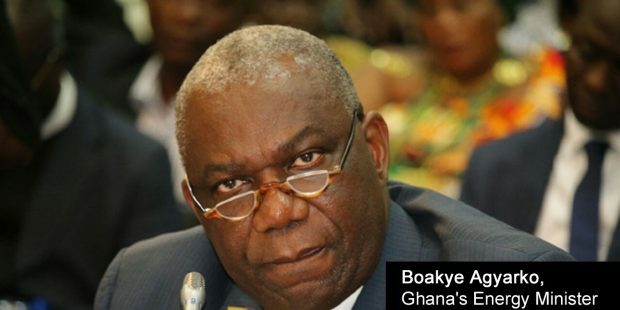 In order to progress the proposed lease sale, Boakye Agyarko, the Energy Minister, inaugurated a Licensing Rounds Bids Evaluation and Negotiation Committee last May. Ghana is proposing the bid round for the last quarter of 2018. The country had, hitherto, allocated oil blocks only through direct negotiations. The 2016 Petroleum Exploration and Production Act, however, encourages a regular transparent, open auction of hydrocarbon acreages. “The remaining three (3) that will not be allocated this year, will form the basis of our second bidding round next year later. We are determined to identity further prospects in the Eastern, Central and the onshore Voltain Basins, to increase the number of blocks available for allocation”, the Minister highlighted. “This will put to test all the allocation mechanisms prescribed by the Petroleum Exploration and Production Act (Act 919) in order to examine the efficacy of these mechanisms and to address any challenges that may emerge in the application of the law”. Fuller details of Ghana’s Asset Sale going forward can be accessed here. Petrofac has agreed the sale of its entire 45% interest in the Chergui asset in Tunisia to Perenco. 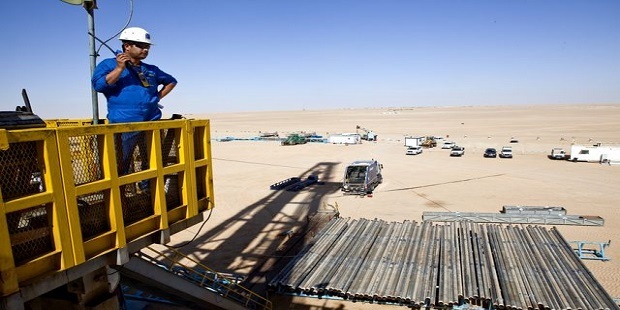 Although the British company, which combines the roles of oilfield service contractor with E&P operatorship, claims the sale was part of the “strategy to transition back to a capital light business model by divesting non-core assets”, anyone who has followed events in the North African country knows that Petrofac has struggled and fought off above ground challenges on Chergui. Petrofac had threatened in September 2016 to shut down operations entirely and leave Tunisia, but the government reached a deal with protesters demanding jobs and development. Tunisian Energy Minister Hela Cheikh Rouhou, at the time, said the production stoppage had been expected because protesters “had not respected the deal signed weeks before”. 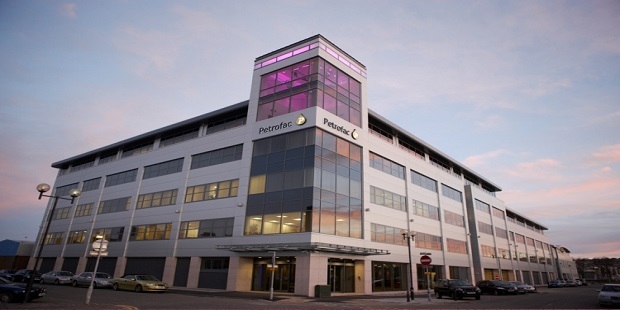 Petrofac had looked to sell the asset for the past one year. But in its release, it deliberately understated the problem. Petrofac said Thursday, June 28m 2018, that the “sale marks another milestone in the Group’s and follows the recent disposal of the JSD6000 offshore pipelaying vessel project”. All Chergui employees will transfer to Perenco, an aggressive French company, as part of the transaction, which is expected to conclude before the end of 2018. Petrofac is expected to book a small gain on the transaction. The operations supply around 13% of Tunisia’s domestic gas needs. 55% of the share at Chergui is held by ETAP, the state hydrocarbon company.